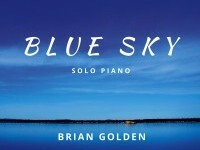 Pianist, composer and recording artist Brian Golden was born in New York City and resides in Colorado. 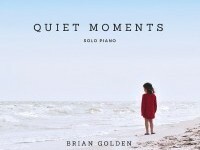 As a solo pianist, Golden’s albums have aired on music networks and radio stations throughout the world including Pandora, Spotify, YouTube, and Whisperings Solo Piano Radio. A classically-trained pianist, Golden is a graduate of the Crane School of Music at Potsdam, New York where he earned the Performer’s Certificate in Piano as well as induction into the honorary music organization Kappa Delta Pi. Among his many musical influences he includes J.S. Bach, Frederic Chopin, George Gershwin, Bela Bartok, Glenn Gould, Keith Jarrett, Hoagy Carmichael, Scott Joplin and The Beatles. In addition to his piano albums, Golden has also written music for dance and film and produces Ballets for Children with his wife Christy, a classically-trained dancer and illustrator. Their album Fairy Light, is a recipient of a 2015 “Parents’ Choice Award.” He has recently completed work on his “24 Preludes for the Piano in Major and Minor Modes,” written in the tradition of J.S. 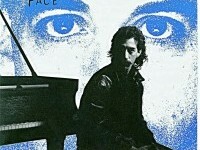 Bach and Frederic Chopin, available on his website - briangoldencomposer.com. Golden is the Music Composition Coordinator, and Instructor of Piano and Music Composition at Colorado Academy in Denver, where he has taught since 2000.